The horrors keep on coming! The past two months we’ve been treated to two highly anticipated “scary movies”. 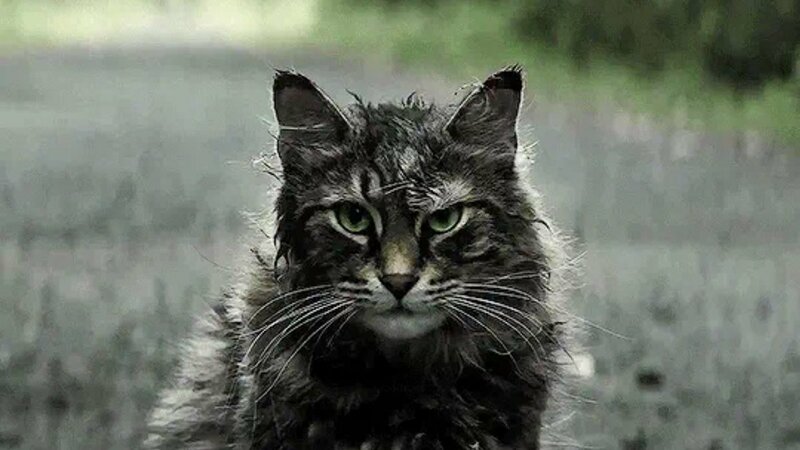 Pet Sematary that might have been better left dead, but there are still a few scares. Check out my ICTN review of the film, along with Jordan Peele’s box office smash, “Us”. Coming off of a critically acclaimed, Oscar nominated directorial debut (Get Out), Jordan Peele had a lot riding on his sophomore feature, Us. But let’s just get the question that’s on your mind out of the way now. Us is not better than Get Out, and don’t go into the movie expecting it will be. If you enter the theater with that mindset from the start, you’re more likely to enjoy this all new twisted, weekend getaway. Adelaide (Lupita Nyong’o) and her husband Gabe (Winston Duke) have taken their two children, Zora (Shahadi Wright Joseph) and Jason (Evan Alex) to their family beach house expecting to unplug and unwind. Still scared from events that happened at the Santa Cruz boardwalk when she was a child, Adelaide is on edge from every strange or coincidental occurrence. And as the day turns to night, Adelaide’s suspicions turn into reality when eerie, uninvited guests show up in their driveway. Here’s the kicker; they look exactly like Adelaide and her family. From then on, these doppelgangers have turned what was supposed to be a relaxing trip into a horrifying nightmare. It comes as no surprise that the cast does an incredible job. Nyong’o impresses with versatility and standout performance. Duke shows off his comedic chops; and newcomers, Joseph and Alex, give breakout performances that will likely have them, once again, on our movie screens. Us takes you on an intense, chaotic thrill ride that will keep you physically and emotionally on the edge of your seat till the very end. Compared to his previous movie, Peele cranks up the scares, the gore, and the humor. It’s a combination that absolutely delivers. His visual techniques and writing have the essence of a modern day Hitchcock, but Peele still stays true to his own unique style of film-making. However, after seeing Us, I think we might be looking at the new master of horror. Just like one of the many themes in Us, with the good comes the bad. 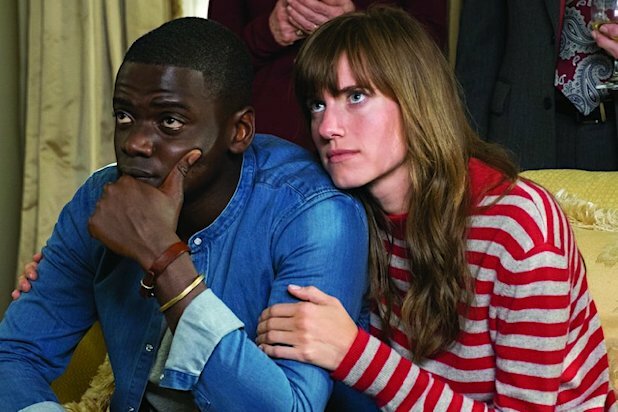 Unlike Get Out, Us is not a “perfect” movie. Besides the fact that it may run a tad longer than it should (this is forgivable), there is A LOT to take in at first viewing. Get Out was straightforward and easy to understand, even though it had a complex narrative. To call Us “complex” would be an understatement. I’m still trying to figure out all the hidden meanings behind this one. There are many layers you will only be able to peel back through multiple viewings. I already plan to watch the movie again this weekend. That being said, there are elements you’ll probably be able to figure out after first watch. One very obvious one is in the title. There’s a reason why Us has the same initials as the United States. Peele might be trying to tell us how he feels about the current status of our country and the way society treats outsiders. Us cuts deep and leads you down a rabbit hole of theories. What has the world come to? 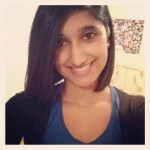 Do we need a fresh start? Do I have an evil, dark side? Though the questions you might have could be overwhelming, there’s no denying that Us is a witty and wickedly, entertaining horror flick. I can’t wait to see what Jordan Peele has in store for us next! Us hits theaters March 22! “Get Out” One Year Later – Free Screenings on President Day! For more information and a list of theatres offering the special screenings, please visit www.getoutoneyearlater.com. Broadcast-quality clips from Get Out are available at www.epk.tv, and stills are available at www.image.net. Every once in a while a horror flick comes along that not only scares, but also includes plenty of laughs along the way. In the past few years, films like “The Visit” and “The Guest” have provided this full package. And now at the start of 2017, comedian Jordan Peele (“Key and Peele”) has captured this rarity again, and presented us with the gift of his directorial debut, “Get Out”. Based on the film’s trailer alone, audiences knew we were in for some race-savvy satire that would lead to a number of awkward scenes. But, these moments of comic relief are so subtle and well executed that they blend perfectly with the eerie tension, while still keeping you engrossed in the suspense of the movie. “Get Out” follows Chris (Daniel Kaluuya), an African American photographer who’s planning to meet his Caucasian girlfriend’s parents for the first time. They are set to head upstate to her family’s secluded home, and of course, Chris expresses his concern by asking if they know he is black? Rose (Allison Williams) laughs it off and assures Chris that her parents are totally cool. To give him comfort, she lets him know that her dad would have voted for Obama a third term. Oh good, now we all feel so much better… Chris’ best friend (Lil Rel Howery) even warns him not go, but he does not listen. On the drive to her parents’ house they hit a deer, foreshadowing an unpleasant visit ahead of them. And it’s here that we get our first act of racism with a cop who insists on seeing Chris’ ID after the accident, even though Rose was driving. Luckily, Rose diffuses the situation in a pretty knight in shining armor way. Finally, they arrive to her parents’ home, and both are welcomed with open arms. Rose’s mom Missy (Catherine Keener) and her dad Dean (Bradley Whitford) appear to be nice. Dean comes across a bit foolish at times with a few ignorant remarks when trying to “bond” with Chris, but other than that the parents seem harmless. However, their two African American servants, Georgina (Betty Gabriel) and Walter (Marcus Henderson) behave in a very odd manner with forced smiles and unusual emotional breakouts. Things just continue to get stranger. Missy offers to hypnotize Chris so that he can quit smoking. Rose’s brother Jeremy (Caleb Landry Jones) makes it blatantly clear that he does not care for his sister’s new boyfriend. Then there’s a disturbing party in which Chris is hounded by the many white people in attendance. Soon enough, everything begins to unwind. Jordan Peele’s script is sharp, witty, and an effective horror. There are subtle Hitchcock-like notes in his story telling. Peele’s cast only furthers his film with their well-rounded performances. Keener and Whitford do an incredible job maintaining their creepy, Stepford Wives composure. Major kudos to Lil Rel Howery for being the character that hilariously speaks on behalf of everyone in the audience. “Get Out” is a refreshing horror-comedy that will keep you on edge till the very end! “Get Out” opens in theaters February 24th. I sat down with Keeagan-Michael Key and Jordan Peele to discuss their new film, “Keanu”. We talked about loss and recovery, pets, break-ups, funk, and an improvised Keanu song! Bonus tip: watch for my un-credited special guest. “Keanu” opens in theaters April 29.